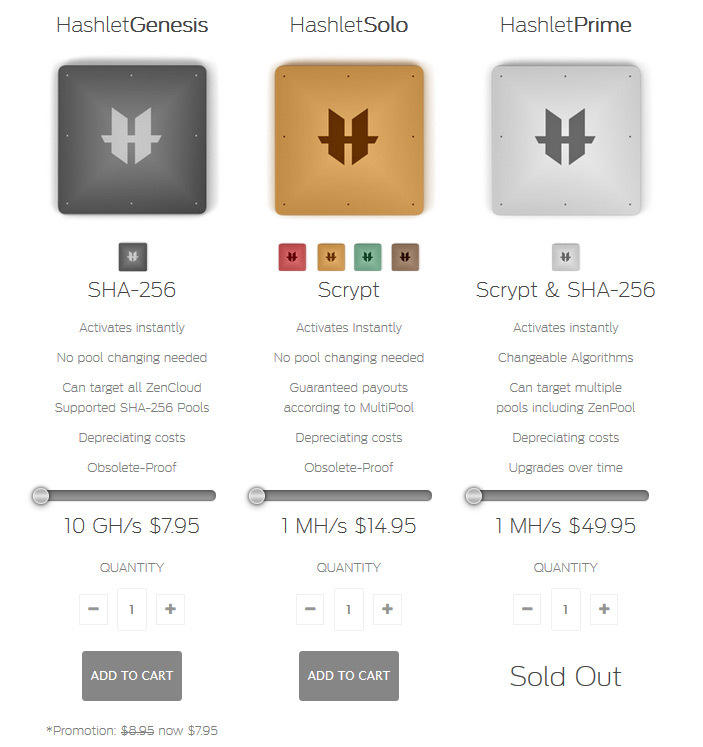 > if you were one of the first to purchase hashrate in the form of a Hashlet when they were first introduced about 2 months ago, then you might’ve already reached a full ROI. According to what sort of crackhead math? ^ I’ll ROI on my Primes sometime next week. Bought them on August 18. I actually purchased 3.25 TH from them the other day with the new lower prices and they actually charged me to mine with them. From my calculations with the current bitcoin prices and the fees they have in place, you should still be able to earn some fractions of bitcoins daily. I will update once I get clarification about the fees on my trouble ticket. All Hashlets have a maintenance fees – for each 1 MH Hashlet the fee is $0.08 per day, for Hashlet Genesis for each 5 GH the fee is $0.01 per day. At the moment cloud mining for Scrypt coins should result in faster ROI than mining for Bitcoin. Most other cloud mining services do charge maintenance fees as well. I noticed they had a patch to fix payment issues today and everything seems to be as it should. I was well aware of the fees, they just didn’t add up the first day for me. The first day issue hasn’t been resolved for me, but I am cool with that as long as long as the numbers continue to add up.